Tracked MTB or amphibious tank ? The Grillo is one of the least known Italian small craft of ww1, and for good reasons as on an operational level it did not really moved the needle. But this was one of these purpose-built mechanical contraptions that escape all classifications. General assumption is the Grillo are tracked MTBs because of the programme, construction techniques, and deployment by the Italian Navy. But in general conception it can be compared to the Japanese Type 4 Ka-Tsu. 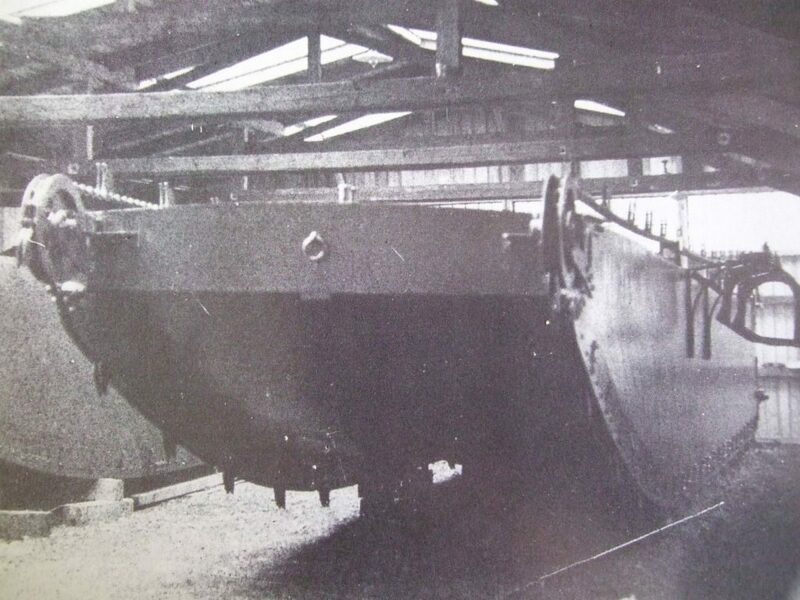 In short, it was not a tank designed to be amphibious, but rather at its core, a Motor Torpedo Boat modified with a chain of grippling hooks, track-like device, and that’s the reason it its covered here on naval-encyclopedia.com. The Grillo in SVAN yard, venice, 1918. The Grillo (“Cricket”), was a MAS boat (Motorbarca Armata SVAN or ), from the SVAN yards, designed by engineer Attilio Bisio. The subject is quite interesting in itself as more than four hundreds of these were built until the end of the war, literally forbidding the Austro-Hungarian navy to leave Pola Harbour, even more after battleship Szent Istvan was sunk by one of these. The paradox is the Navy is often rather the more conservative of all arms, but in that case, was the first to introduce “tanks” in combat. The Grillo were designated “climbing boats” or even “jumping boats” according to the initial barchino saltatore designation. They had been designed specifically by Engineer Attilio Bisio at SVAN yards to overcome harbour barrages (with Pola in mind) designed to prevent the small MAS to rush in. The goal was to produce a small serie of these crafts, that will launch their torpedoes when in, possibly by night, and then climb out the same way to safety. 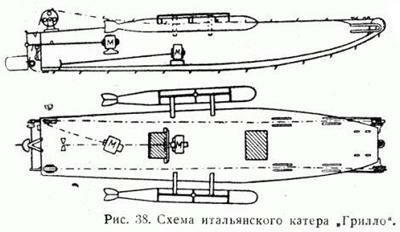 In the larger picture, the Grillo registered in the change of doctrine of the Italian Navy induced by the introduction of numerous light vessels of the MAS type and the Grillo registered together with the mignatta (“leech”), and the latter Torpedine Semovente Rossetti or Rossetti self-propelled torpedo. Perhaps excessive caution from both fleets also led to this economical “small warfare” where limited means could bring maximal destruction. It was confirmed when MAS sunk the battleships Wien (December 1917) and Szent Istvan (June 1918), and even more when in November, just before reddition, battleship Viribus Unitis was sunk by a single frogman. It was designed as a fast boat, all in wood, with rounded sides, and a rectangular, narrow flat bottom surrounded on both sides by rails. These comprised a serie of narrow links, with grippling hooks welded on every two of these. Drive sprockets were at the front, and large idlers were fitted up at the boat’s back, while the links circulated thanks to two more bottom wheels at the front per side, and two tender wheels at the back. The tracks rested on the bridge but were raised by the open air wheel pair at the rear which acted as manageable tension wheels. 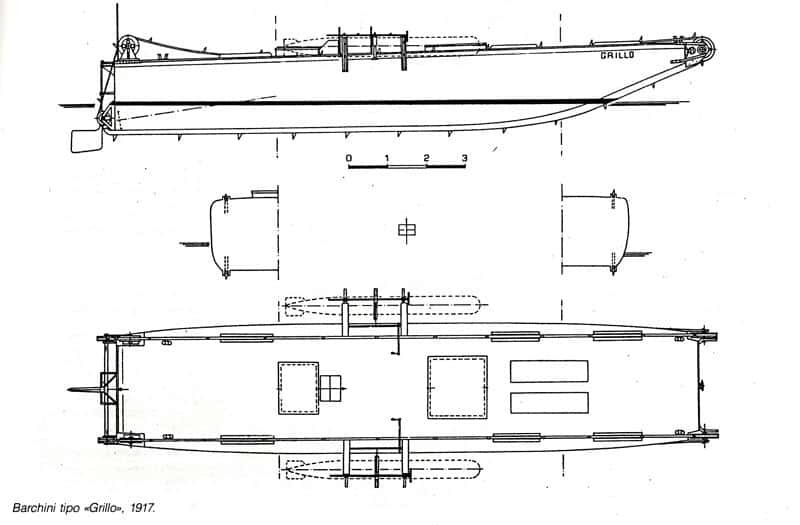 Already Fazana channel’s forcing action in the night between 1 and 2 November 1916, showed by having a weight to lower the metal obstruction at the mouth of the canal and let passing MAS through inspired Attilio Bisio, director Of SVAN in Venice for a boat capable of doing it by its own weight. He proposed his idea to vice-admiral, Paolo Thaon di Revel in june 1917 just when an attack on Pola was in preparation. Its entrance protection system, was multilayered and consisted of several parallel lines of metallic obstructions. Hand-held hydraulic shears could no longer overcome them. Therefore a light naval vehicle which could literally leap these protection nets forward with the same capabilities as MAS boats was all that was required. This crossing could be obtained by means of sudden changes in trim from the displacement from electric accumulators acting on the motors housed on sliding carriages underneath. Experiments were carried out but proved to be unsatisfactory at first. 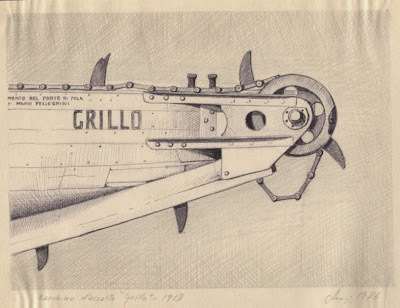 A new revised designed of crawler with hooks clinging to obstructions, with hook-studded, engine-driven chains somewhat reminiscent of British Romboid tanks was initiated, gave satisfactions in tests, and resulted four boats of Grillo crafts to be built in early 1918. They knew various fates, but the lead boat was the most famous Grillo, which action proved disastrous: In the night of 13 May 1918 she was released near the entrance, approaching in perfect silence. However soon at work, the chain mechanism produced a frightful clatter which negated all the advantage the electric propulsion and the boat was quickly spotted and destroyed by shellfire before even getting over all the booms (passed four). The Cavalletta and Pulce were both scuttled and lost on on 13-4-1918, Locusta abandoned and eventually scrapped in 1920. The Austrian copy of the Grillo, never tested. At the end the Grillo left mitigated impressions, but impressed the Austrian navy enough to raise the Grillo and copy it at the end of the war. The idea of “naval tanks” was also shared by Great Britain that designed an amphibious tank, the Mark IX duck also in 1918.